Home » Testimonials » I’m so glad we chose Marc Sternberg as our family dentist! 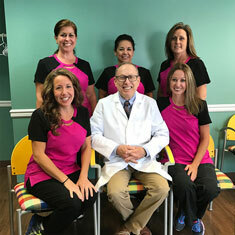 I’m so glad we chose Marc Sternberg as our family dentist! Everytime I come I get greeted as a friend. I really enjoy my time at the dentist office which is something many people would not be able to say. Jason P.
On behalf of me and our entire dental team, we welcome you to our office. We hope you will find the atmosphere here friendly, our accommodations comfortable, and our technical services exceptional. We offer a wide range of services with many up-to-date procedures and equipment. Like us on Facebook to get dental tips, general information, and special offers! Please go to our Services page to learn about some of our newest additions. To make an appointment, feel free to call or email us.